My attempt at a replica. The old-fashioned general store has always been intriguing to me. As a child, one of my favorite shopping places was a building called “the Casino,” a large round wooden structure in Cape May, New Jersey. Every summer I looked forward to traveling to Cape May to just walk through the isles of the Casino to glance at the imports lining the shelves from around the world. I especially liked the little colorful cloth dolls holding baskets and brooms. The store offered a wide selection of souvenirs, including metal buckets and shovels for playing in the sand. Today a few general stores remain in operation. The aesthetic appeal begins right at the front door with a lightweight screen door, allowing fresh air into the space. Frequently merchandise spills out from the building, decorated with moldings even if the paint is peeling. Creaky wood floors and long wooden counters represent typical interiors. Wooden shelves and bins built into the walls extend from the floor to ceiling. 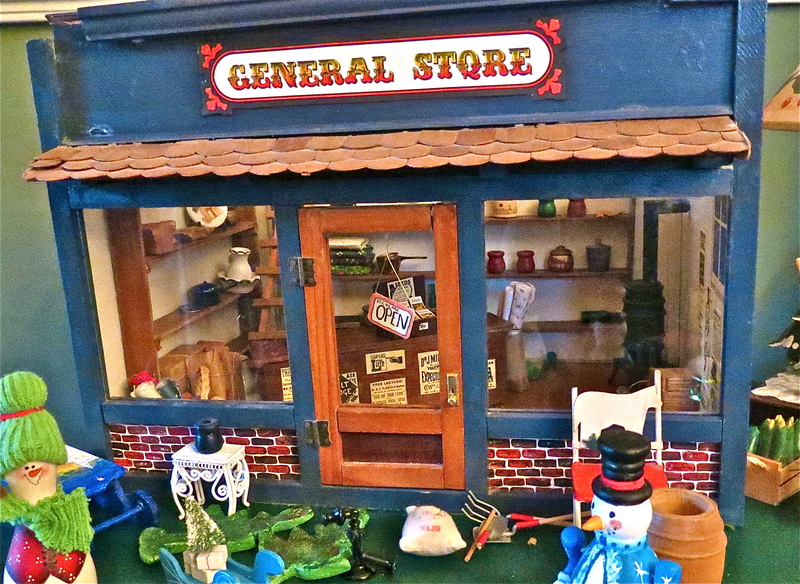 While general stores hold an abundance of merchandise, I don’t believe this is about conspicuous consumption, as an overwhelming number of goods are essential to the home and farm with elements of industry and efficiency . . . potato peelers, bolts of cloth, coffee grinders, iron skillets and lanterns. 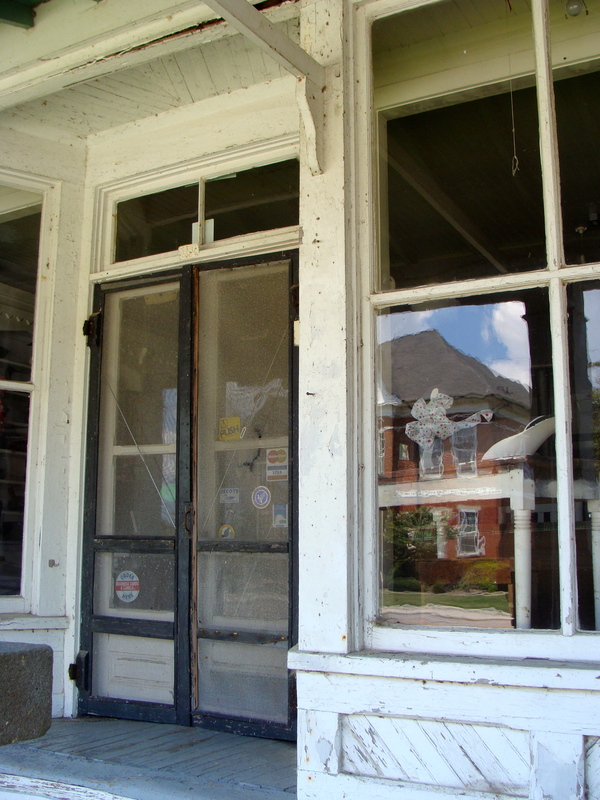 In the 19th and early 20th centuries general stores were central to small town communities. 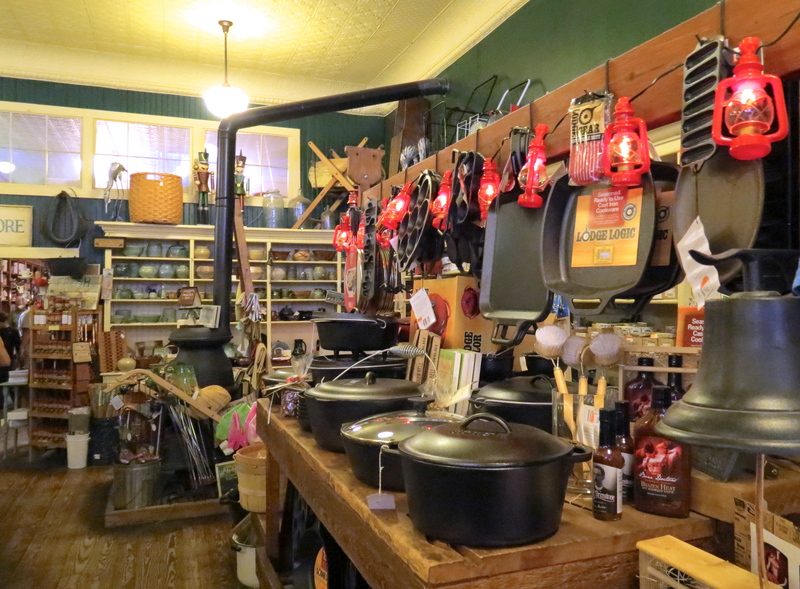 Selling everything from groceries, hardware items, shoes, pots and pans and other necessities, the store often anchored other small businesses that would line the town’s main street. That town center provided a community-oriented amenities such as sidewalks, parks and theaters. Within a short walk, shoppers could stop in at the library, bank and post office. Upon entering the store, the proprietor, sporting a long white apron, would stand behind a wooden counter and would greet you. Storekeepers had to keep informed on the pulse of the community so that they could order the right materials. Neighbors would meet up at the store and share news as they shopped. Many stores keep a pot belly stove going, and customers played bottle cap checkers near the warmth of the stove. The store owner maximized the floor utilizing boxes and barrels to support merchandise. Generally, the proprietor purchased in bulk quantities. Then he would weigh the purchases on a large scale. Few items were pre-packaged, but canned goods occupied much of the grocery shelf space. Speciality items could be ordered, such as furniture, farm equipment and sewing machines. Deliveries arrived by horse-drawn wagon and later by train. 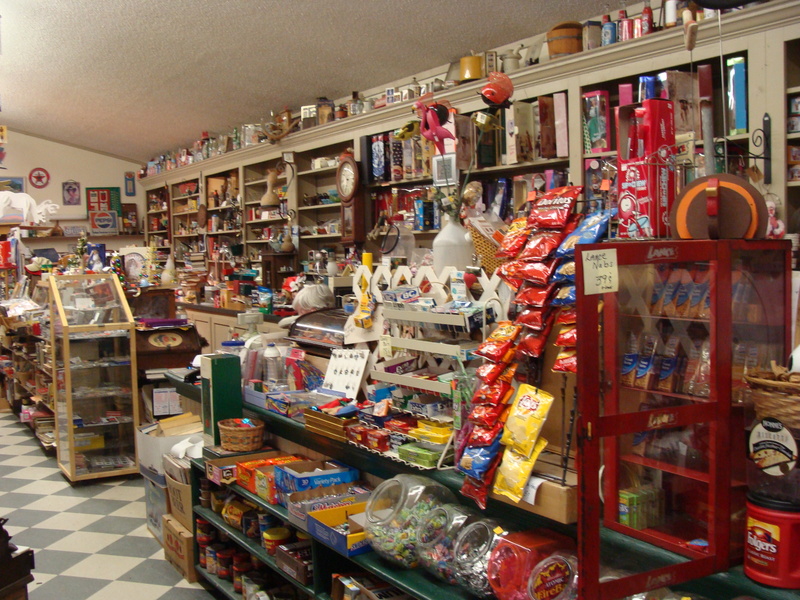 Something from my childhood must have endeared me to the general store that still resonates with me today. Viewing little pieces of this former way of life, is tantalizing enough to make me wonder about what has been lost. Often times General Stores housed the Post Office. Do the consequences of losing the small-town general store move beyond aesthetics? 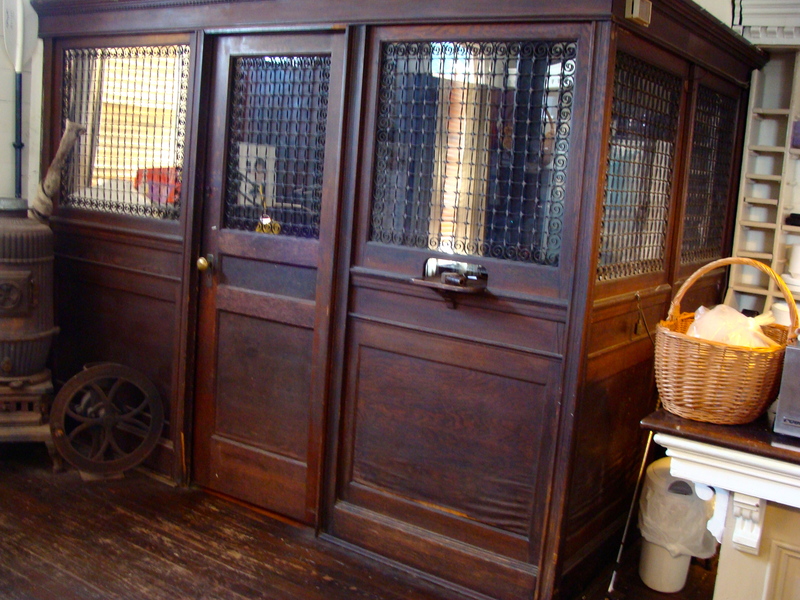 How do our shopping experiences around malls, big-box and strip stores compare with the country store of yore? Today massive shiny lettering in bold colors shouts the store’s name. These industrial style buildings sit at the back of expansive concrete parking lots without hardly a tree or blade of grass in sight. Bland building facades are identical to every other strip mall. Steel doors, cavernous spaces, utilitarian shelving and harsh lighting all contribute to the lack of aesthetic appeal and warmth. With their stark interiors, they are but warehouses for merchandise. Big-box retailers have reaped economic benefits from their bland design that demands little in aesthetic investment, and consumers may have found these businesses offer the best prices. But what have we lost in the conversion to bear-bones consumerism? Some claim that these retailers boost city revenues, but have we sacrified small businesses at the altar of increased tax revenue and cheaper prices? Small business owners, often members of the community, support local enterprises and charities. Huge corporations have no loyalty to any one town or city. Some research shows that it doesn’t always play out that this increased tax revenue brings in development. Because big box store are so anonymous and huge, there’s a sense that no one is watching. Social bonds are strongest when people feel like they’re being closely watched, so if the opposite is true, it might make people feel like they could do whatever they like without consequence. As weird as this might sound, these big-box stores coincide with hate groups, according to a study conduced by faculty at Penn State and other universities. The number of Wal-Mart stores in an area correlated with the number of hate groups in that same area and more statistically significant than other factors, such as unemployment and crime. What runs side by side of hate group? Gun sales. Approximately a third of all Wal-Mart store sell fire arms, including the “modern sporting rifles” or the type of semiautomatic rifle used in the killing of 26 adults and children at Sandy Hook Elementary School. Wal-Mart is the largest seller of firearms in the US. The Christian Science Monitor features an excellent article on the subject. 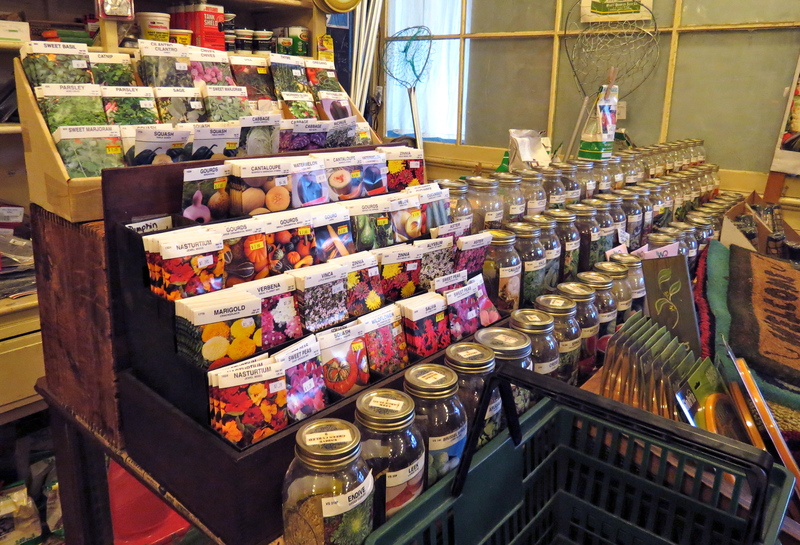 My original intention of writing this blog post was to describe the pleasing aesthetics of the old-fashioned country store. Analyzing the larger picture of what the demise of country store has meant for America reveals how their absence uncovers much more than just a change in aesthetics. Over the past couple months I’ve taken a photography course at the Community Arts Center with the hope that I could improve on my blog photos. Steven Miller, who has photographs in the permanent collection of the Smithsonian Museum, presented us with a series of assignments that emphasized various photographic techniques. Inspired to step out of my comfort zone, I experimented with photographing different subjects. My travels during this time took me to a narrow backstreet in the Mount Airy section of Philadelphia. Near the corner of Carpenter and Greene, little stores nestled on either side of street. A cooperative grocery, an independent coffee shop, a second-hand store offered a bustling section to an otherwise quiet street. The Big Blue Marble Bookstore with its colorful façade and window dressing of books and toys offered a particularly bright spot. Just across from the bookstore, I discovered a honey hole of photographic opportunity, the Philadelphia Salvage Company. 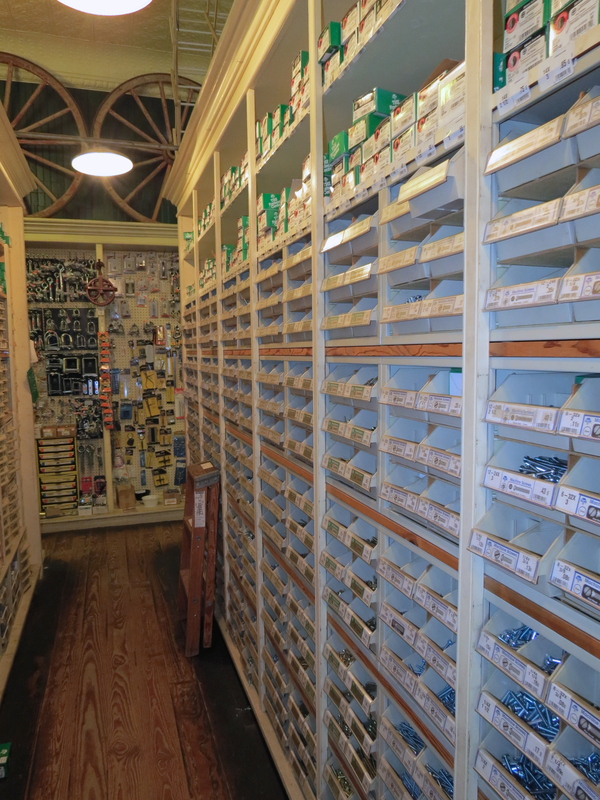 The shop, a wonderland of restoration projects, overflowed with antique doors and stained glass windows. Vintage boxes and light fixtures lined the aisles. Boxes of buttons, rows of tiles, planks of wood scattered about the warehouse. On one of the shelves someone had arranged a collection of gears, and that’s where I found my prize photo, the best of the 500 pictures I took during this time. Update: Photograph won first prize at the Community Arts Member Show, June 2013.